With just three new entries, only one of whom posed any competition for the top and in the event has failed for now - plus a rather becalmed state of affairs generally chart wise - it's enough to ensure that the list of one week wonder chart toppers is halted by Busted, who following their intense round of promotional efforts this last week for their new album 'Half Way There', spend a comfortable second week at number one on my personal chart with 'Radio'. LSD - the supergroup formed of Labrinth, Sia & Diplo - proved so successful with their debut number one 'Thunderclouds' last September, that the release of its follow-up, 'Mountains' was continually pushed back for some time from its originally scheduled late November release. With the former single finally exiting my top 40 last week after a near 20 week run, it finally appears and makes a very respectable #2 debut. I don't see this being quite the phenomenon 'Thunderclouds' was but it is another great single from them nonetheless, and proves this supergroup has some steam left in it before they venture back to their solo projects. Diplo, incidentally, appears to be working with Niall Horan on new material if you saw the 'Slow Hands' hitmaker's Instagram Stories last week. Julia Michaels' current single 'What A Time' with Niall climbs up two to #4, making good on our prediction from its debut last week, and with no immediate big new singles on the horizon next week, it's not out the question that it could yet climb a bit more. Just below them is this week's second highest new entry from Dido. 'Hurricanes' debuted at #8 in November as the first single from her forthcoming new album 'Still On My Mind' - slated for a 8th March release date - but second single 'Give You Up' improves on that substantially to debut at #5, her biggest such hit since her classic 'White Flag' topped my chart in September 2003. Next to play at #9, a brand new artist of sorts. 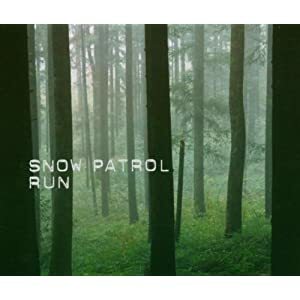 Mate (or 'mate', as the font on his artwork stylises it) may not immediately seem a familiar name, until you see said single artwork. 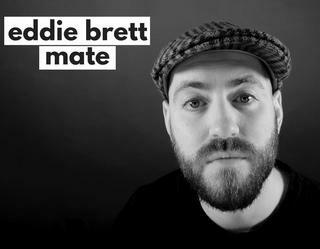 For he is in fact Eddie Brett, the Chingford born singer-songwriter and urban poet, best known of course, as formerly one third of Loveable Rogues, who scored number one hits on my chart with 'What A Night' (April 2013) and 'Honest' (May 2014) after their success on Britain's Got Talent in 2012. His debut solo album as Eddie Brett titled 'Parlay' and it's first single 'The City Don't Like Us' both charted in the low end of my top 40 back in May 2016, but under this new stage name he claims his first top 10 hit with 'Myself'. It's a really engaging and clever record, one that calls to mind Mike Skinner and The Streets when you hear it. A pleasure to see this one so high up, and well worth investigation. Rounding off this week at the far end of the top 20, Little Mix return after a week's absence with their #2 hit from December, 'Think About Us'. The reason for this rise back to #17 from last week's #22 is correlative with the long awaited release of both the single's video, and a brand new remix featuring US rapper Ty Dolla $ign. Their performance at next week's BRIT Awards aside, Jade and Leigh-Ann are shortly to do what Cheryl and Kimberley from Girls Aloud did ten years ago, hiking up Mount Kilimanjaro for Comic Relief, so don't expect a hefty amount of further activity for this single after this week. 1. 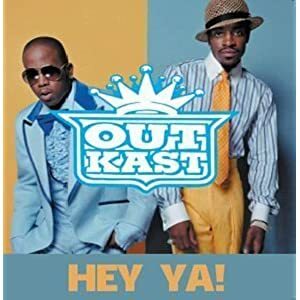 (3) OUTKAST - Hey Ya!